Lee Bennett Hopkins has compiled fifteen poems by thirteen poets about the magical hour on Christmas Eve when all animals can talk. After an introductory poem written by Hopkins, thirteen species—including fish and a spider—tell their story about seeing the Baby Jesus for the first time. The horse is so moved he can’t speak, the cow moos a lullaby, the spider weaves a gift of a cobweb crown. The last poem is the second stanza of The Friendly Beasts, a folk song. 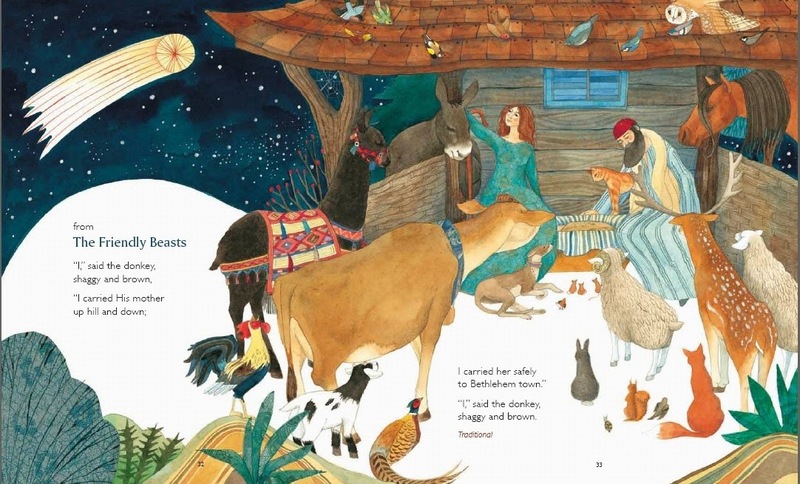 Helen Cann’s lovingly detailed artwork (watercolor and mixed media) add to the warm traditional feel of the collection, and create, with the sound of the poems, a book to carefully relish. Endpapers depicting characters from the text—like so many Eerdmans titles—add something extra to pore over after reading the book. 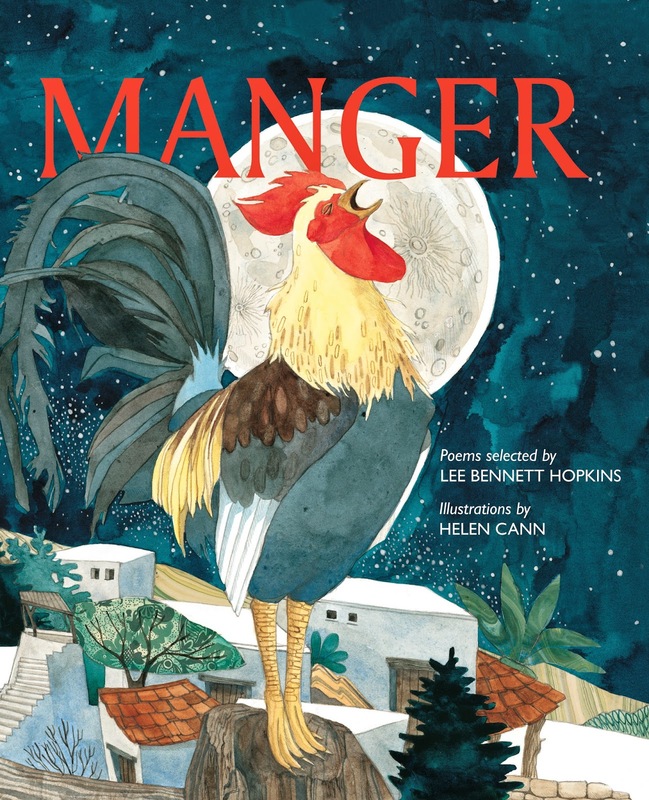 MANGER is a picture book that looks, sounds and feels like a Christmas classic.